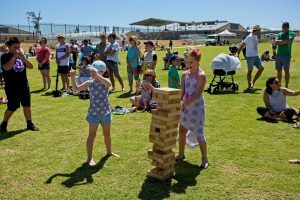 A range of cultural performances, activities and a mouthwatering selection of food gave more than enough reason for the Honeywood community to gather and celebrate the diversity in the community on 11 March. 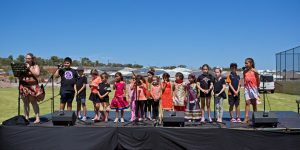 The new Honeywood Primary School oval proved to be a great location for the second annual Harmony Day event held at Honeywood. The event kicked off with a Welcome to Country followed by talented performances by local community groups. There was plenty of entertainment away from the stage too, with henna face painting, martial arts and theatrical sword play, and even giant jenga. The Heritage Parade encouraged the children to dress up in cultural clothes for the day. A big thank you to everyone who made this event possible. 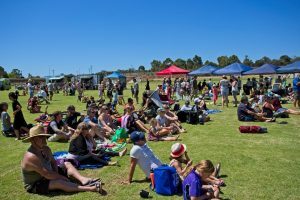 Honeywood Harmony Day is hosted by Honeywood Residents Group and the Honeywood Primary School P&C. To check out more photos, like our Facebook page.